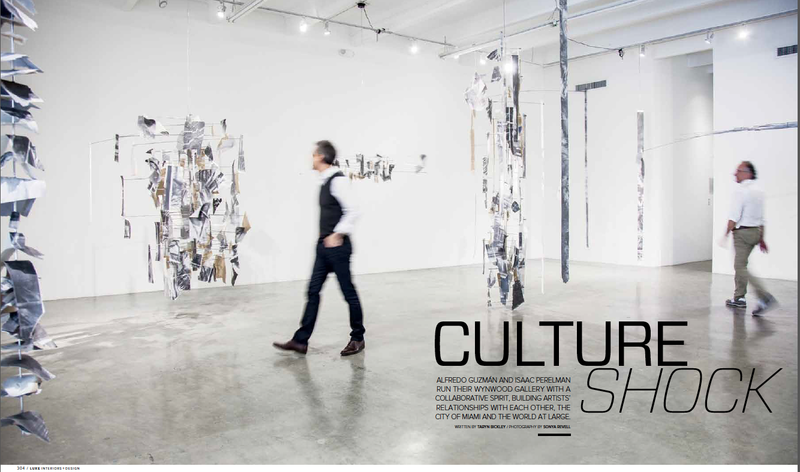 I’ve been anxiously awaiting the arrival of the most recent issue of Luxe Interiors + Design, as it includes a fun photography spread we shot at Dot 51 Gallery, in the Wynwood arts district of Miami. Alfredo Guzman and Isaac Perelman, the owners/curators of Dot 51 were extremely welcoming and easy to photograph. 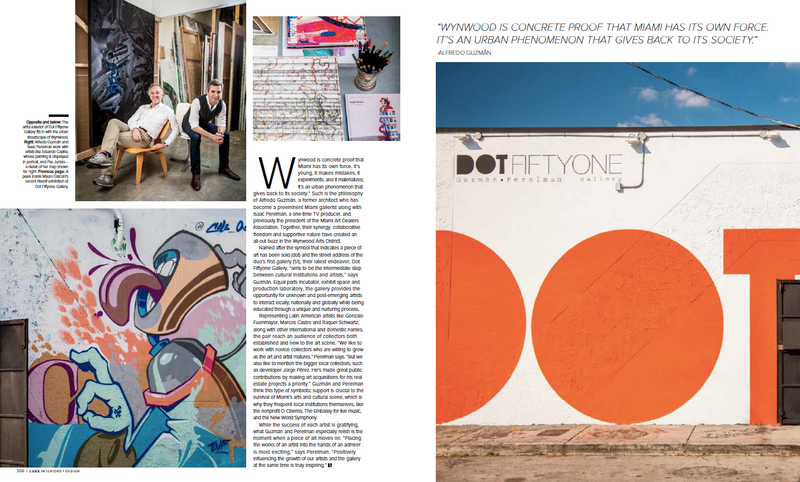 We had a great time working on this all-encompassing shoot, which incorporated everything from the gallery space featuring the art, to portraits of Guzman and Perelman, to the exterior, with its Wynwood-esque murals. Check out the spread below. Isaac Perelman and Alfredo Guzman in the main art space at Dot 51 gallery in Wynwood. Alfredo Guzman and Isaac Perelman (top left), exterior side mural (bottom left) and exterior (right).